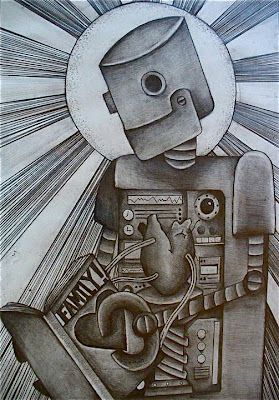 Recently I was commissioned to do a piece by my friend Lane for her partner Erika aka Truck. Lane wanted something that expressed Truck's love for her daughter, her family, and reading. 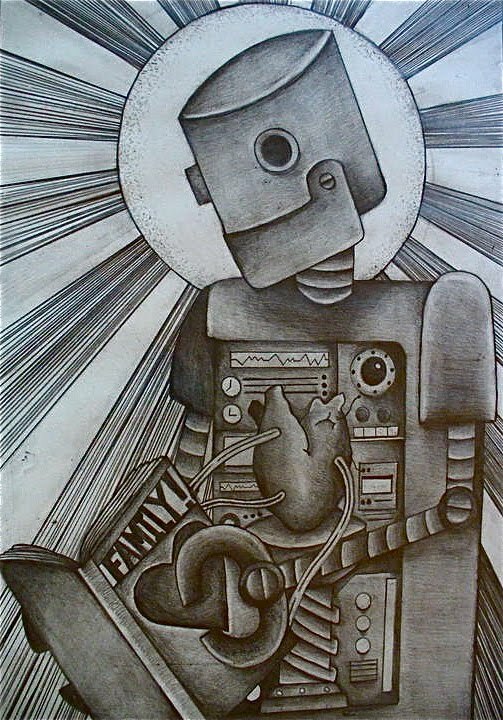 With those parameters in mind I came up with the following piece, My Heart is My Family, My Family are My Heart. I had a lot of fun working on this drawing and was very happy to see how much they both liked it. I actually drove to Columbus to deliver it and got to see Truck's shocked look on her face first hand which was very cool.